London-based painter Matthew Krishanu takes inspiration from his childhood spent in Bangladesh’s capital Dhaka to produce his dream-like, reflective paintings. Matthew’s British father and Indian mother completed theological training in Birmingham, then relocated their family to Dhaka in the early 1980s, working for the Church of Bangladesh. His work explores his eleven years living in Bangladesh, while capturing his distinctive bond with his brother. 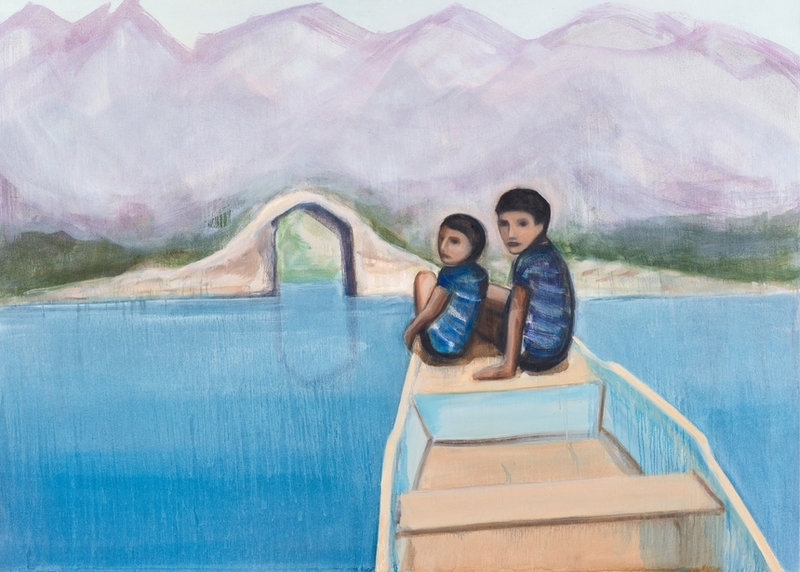 His paintings explore the childhood gaze of the boys, depicting experiences of an atmospheric yet complex world of expatriates, missionaries and expansive landscapes. The show includes two paintings recently acquired by the Arts Council Collection, Southbank Centre, London. Join us to celebrate the launch of ‘The Sun Never Sets’ at the opening event on Saturday 19 January from 2pm-4pm, where you can see the work and meet artist Matthew Krishanu. There will also be an Artist Talk and Tour on Thursday 21 February from 6pm-7.30pm in the gallery – a chance to join artist Matthew and MAC Visual Arts Producer Jess Litherland for a private evening tour of ‘The Sun Never Sets’. An associated exhibition of his work ‘A Murder of Crows’ is showing throughout the Ikon Gallery building during the run of ‘The Sun Never Sets’. A catalogue is available to buy featuring texts by Jenni Lomax and Ruxmini Choudhury (assistant curator at Dhaka Art Summit).